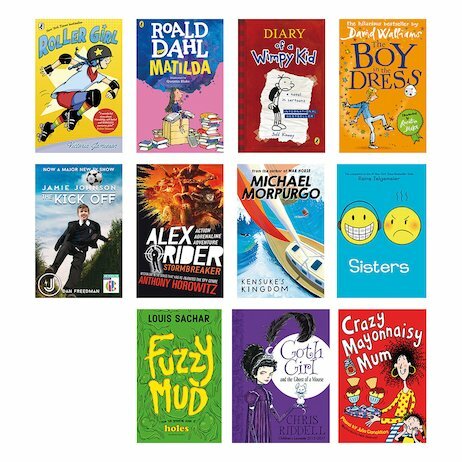 Buy this and your school gets £19.52 to spend on books Orders of £10 or more will earn 25% of your order value back in Scholastic Rewards for your school. Who said reluctant reader? There’s no such thing – not now that you’ve found your way to this totally addictive pack. OK: some kids say they don’t like to read. Fact: they’ve just not found the right books. But the good news is – now YOU have. Funny reads. Exciting reads. Illustrated reads. Totally addictive reads. Top authors. Favourite series. Full-colour fiction. Say hello to the books that’ll get you totally hyped about reading even more books. Reluctant reader? Not any more!